A New Jersey father pressed Gov. Chris Christie, R-N.J., to approve a measure expanding the availability of medical marijuana to children at a campaign stop on Wednesday, WCBS radio reports. Brian Wilson, whose 2-year-old daughter Vivian suffers from Dravet Syndrome, a severe form of epilepsy, confronted the governor to ask him why he was delaying a decision on a law passed by the New Jersey legislature that would allow children like Vivian to more easily receive medical marijuana. "Please don't let my daughter die, governor," Wilson said. "Don't let my daughter die." Wilson demanded to know "what the hold up is," saying, "It's been like two months now." 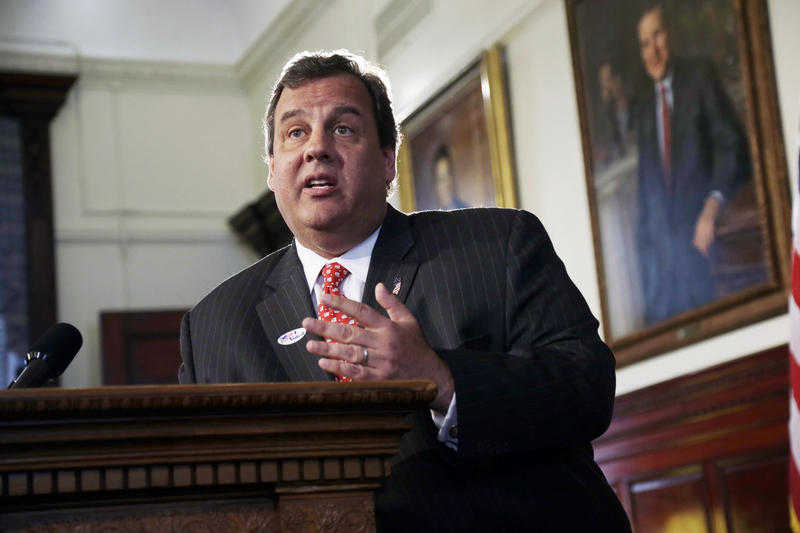 "These are complicated issues," Christie replied. Wilson didn't buy it. "Very simple issue," he shot back. "No, I know you think it's simple," Christie said. "I know you think it's simple, and it's not." Christie said he'd arrive at a decision by Friday, telling Wilson, "I wish the best for you, your daughter, and your family, and I'm going to do what I think is best for the people of the state." Rand Paul vs. Chris Christie: Who wins with Republicans? Wilson and his wife wrote a letter earlier in August to Christie describing their daughter's seizures and imploring the governor to ease the restrictions on medical marijuana for children. The Wilsons said a strain of marijuana that does not contain THC - the psychoactive compound that gets users high - is the only thing that helps their daughter. But the state's current medical marijuana laws, the Wilsons argue, prevent them from obtaining the help Vivian needs. The proposed change to the law pushed by the Wilsons would impose strict limits on what kind of treatment can be administered, and it would require at least three doctors to sign off on prescriptions of medical marijuana for children. Wilson told WCBS that he and his family will be forced to move to Colorado, where marijuana laws are far more permissive, if they can't find the solution they need in New Jersey. "Every day, she's dying more and more," Wilson said of his daughter," and [Christie] keeps on wanting to think about this bill." During his regular "Ask the Governor" radio segment in July, Christie said he was concerned that the law could too easily allow people with no malady to receive medical marijuana. "I'm concerned about expanding the program," he said, "and I want to make sure that if we do it, we do it in a way that is helpful to children, does not reduce any of the requirements of the program; to make sure this does not go down a slippery slope."